PET BOOSTER CAR SEAT home decor, jewelry, decor, decorations, electronics, fountains, floor mats, art glass, vases, garden essentials, fireplace screens. Keep your furry friend tucked in safely as you cruise down the road! 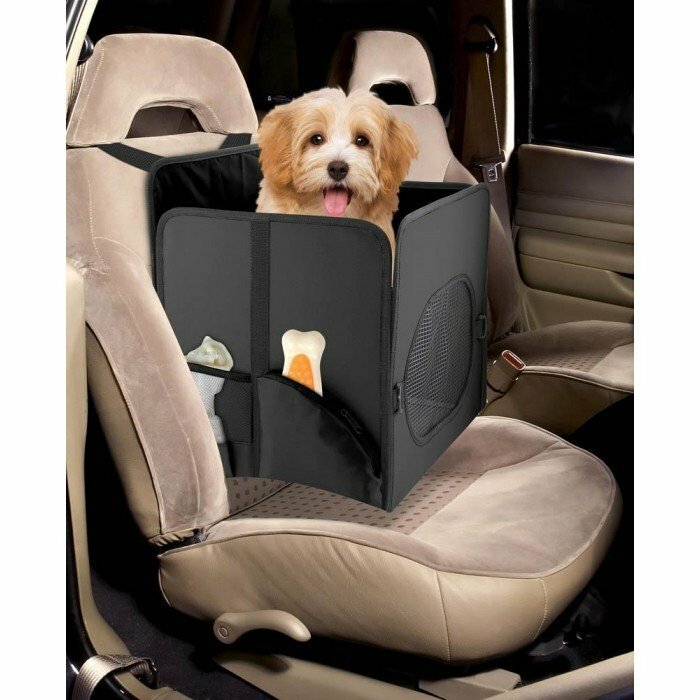 This pet booster car seat gives your pet the perfect perch to do some sightseeing while keeping him or her nestled safely on the passenger or back seat of your car. It is foldable, storable, and can be fit to just about any single car seat. It even has handy side pockets for storage. Fits pets up to 12 pounds. Material(s): FABRIC. Weight	3 pounds. Dimensions	18" x 18" x 2"